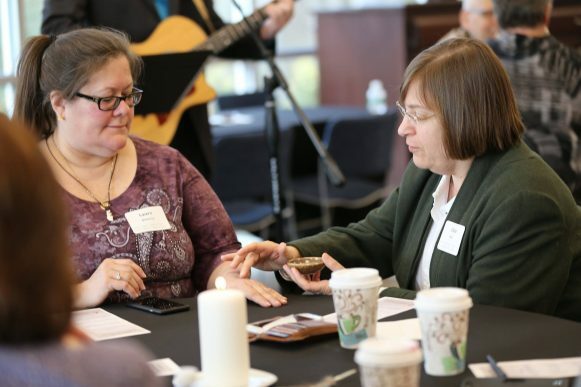 Clergy and laity from throughout The United Methodist Church of Greater New Jersey exemplified what it looks like to live in the midst of differences and challenges at ‘Graceful Controversies,’ a gathering to engage in conversation around the issues facing the United Methodist church over human sexuality. 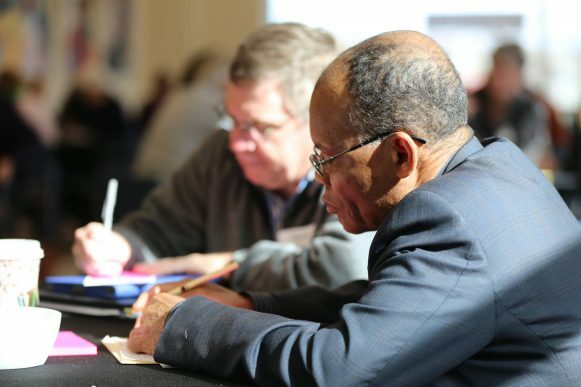 Held at the Mission and Resource Center on March 4, more than 100 people from throughout the conference gathered to engage in a deeper conversation to develop hopes and aspirations for the future of The United Methodist Church to be sent to the Commission on the Way Forward. The Commission, proposed by the Council of Bishops and approved by the 2016 General Conference, materialized to do a complete examination and possible revision of every paragraph of the Book of Discipline concerning human sexuality and explore options that help to maintain and strengthen the unity of the church. Hector Burgos, Director of Connectional Ministries opened with a feather, using it as a symbol for something that is both fragile and strong. Feathers were distributed to each table to be used in the circle process during conversations. Participants heard four testimonies from various perspectives and examined specific questions around table discussions in 30-minute intervals. Questions included: What is the shared mission and purpose of the church in our diverse and global existence? Is there a proactive way for us to live in our differences that doesn’t presume that we will resolve our differences? What might be a form of unity that empowers us living together? And what is our witness and what can be our witness to the world in relation to our differences? 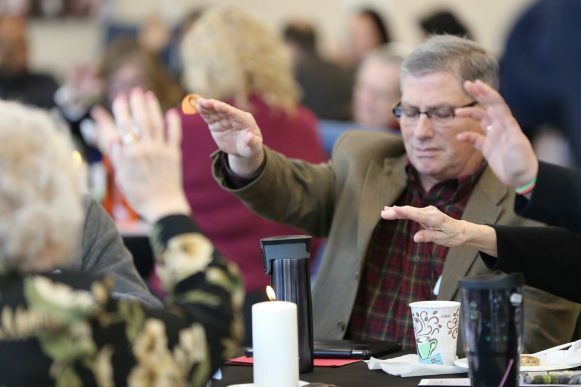 In the afternoon, each table discussed seven options for the future of the United Methodist Church and what each person would need to participate in the life of the church if the Commission recommended that direction. Acknowledging that the event’s intent wasn’t to have everyone “be alike” or “think alike” Schol shared his hopes that GNJ would find unity in focusing on and coming together to work for Christ in the mission. “Our church controversy is just a part of who we are, and it will continue to be with us,” he said, challenging participants to seek maturity in their thinking and emotions and to step out and see life through different lenses. 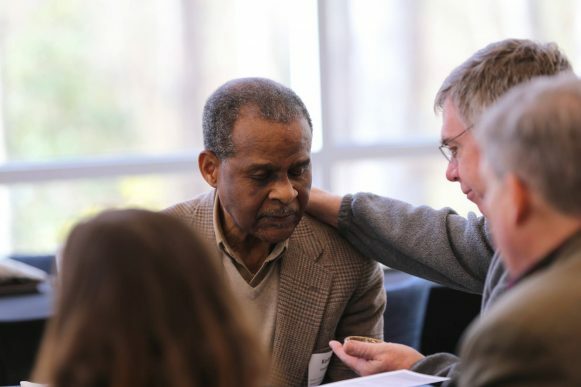 “We find new meaning, purpose, and connection with God, church and people when understanding becomes our aim,” said Schol. “Ultimately that’s what happens when we let love be our aim,” he said. Rev. 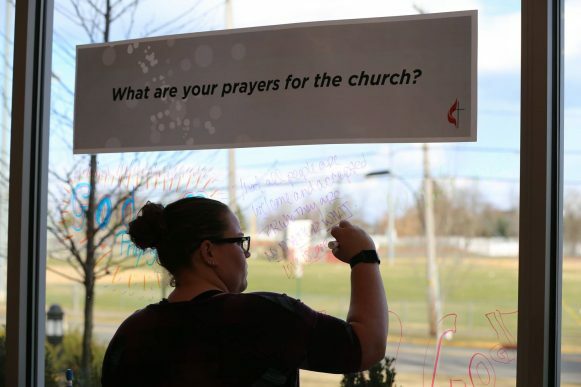 Kaleigh Corbett, Pastor of Frankford Plains UMC in Augusta, said a common thread in her discussions was that everyone deserved a chance to be loved. 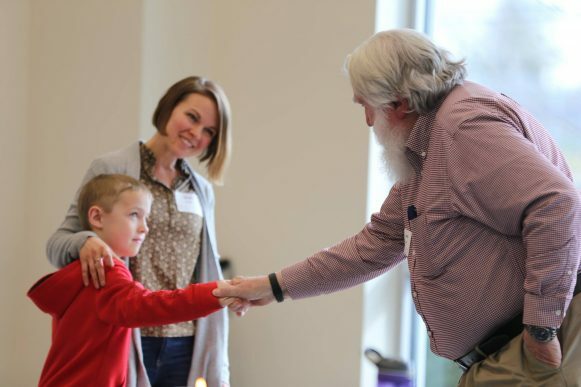 Sherri Shumate of the UMC of Summit thought the gathering was a “wonderful opportunity to hear different voices.” She described the table discussions as spirit-filled and was thankful that her young son Riley was also welcomed to participate. Over the course of the day, there were laughs and tears, heartfelt prayers, stories, and opinions expressed around the questions and options. Participants respectfully passed the feathers to the next person at their table who wanted to share and listened intently. 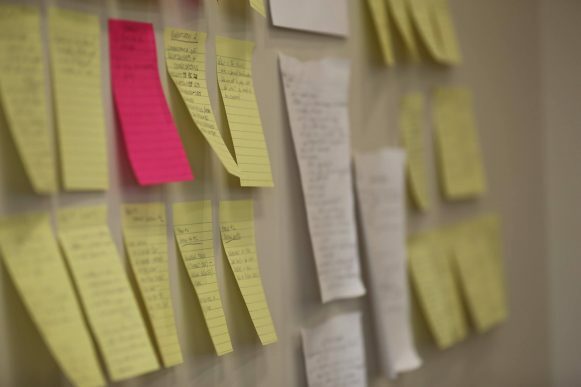 Some took notes while others jotted down prayers and ideas. To help support people bringing the process and conversation back to their local congregations, GNJ created a web page to post resources, liturgy and follow up. “It’s nice to have a space provided by the conference that allows us to talk about these things in a really structured way,” said Rev. Gabrielle Martone, Pastor at Broadway UMC in Washington. “It’s allowed a variety of stories to be heard.” Martone was moved by the idea of needing to be in mission and to build up storytelling and relationships from all different walks of life and a variety of experiences. Rev. Leo Park, Associate Pastor of Bethany Wayne UMC, found that love and acceptance were common threads in the discussions and found the event to be more than he expected. “I was thinking it would be a hot debate,” he said. 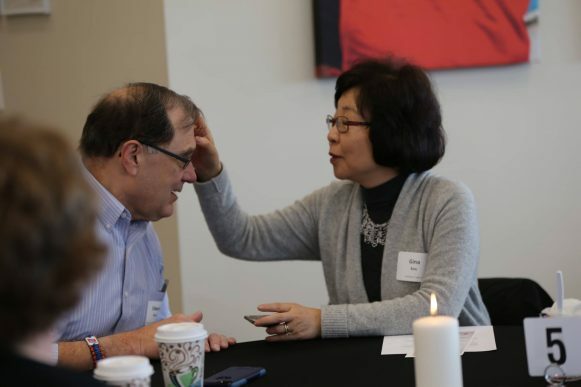 “But the questions were really good and brought out what needed to be discussed and thought about.” Park was challenged to see from various vantage points and was encouraged by the idea of focusing on the mission and purpose of the church. Schol closed the event by Holding up one of the feathers and spoke about its fragility.